Pilates is for every body. Pilates is a fitness system developed in the early 20th century by Joseph Pilates. 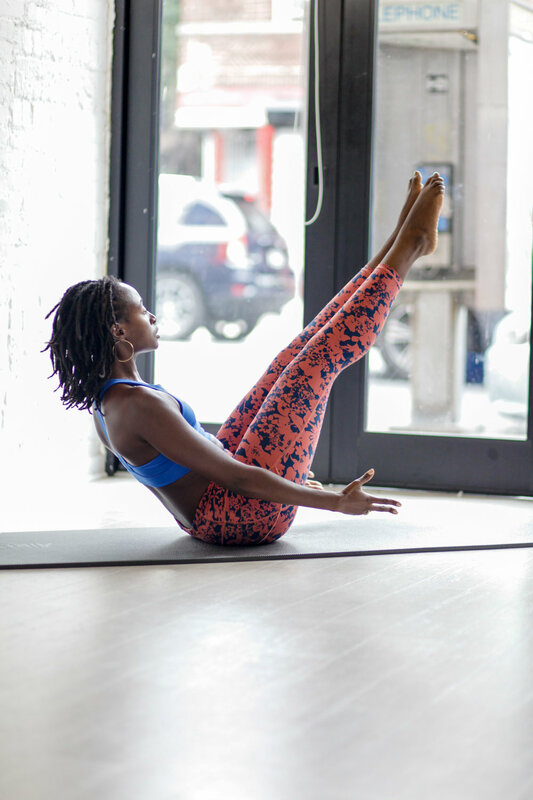 If you are looking to strengthen and stabilize your core, tone and lengthen muscles, improve and maintain good posture, then Pilates is for you! It is low impact and can vary in intensity to support those rehabilitating from injuries or those wanting to improve their performance and overall body awareness for other functional everyday movement or other physical activities. You can choose between privates, duets, or group classes. It is recommended that you take at least three privates before jumping into a class to ensure that you understand the foundation of the system. Pilates can help anyone move with ease and confidence. Classes and sessions have a strong classical foundation with a contemporary feel and functional twist, so expect to work hard, but with proper form!